Few catastrophic injuries are more devastating than a traumatic brain injury. 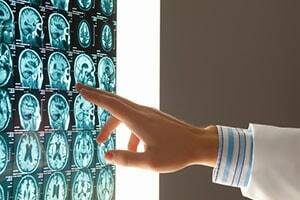 Our Fort Myers brain injury lawyers know brain injuries can be serious, debilitating, life-altering and even deadly. Worse, they may not always be easy to identify right away. That’s why it is imperative after a car accident, slip-and-fall, construction accident, birth injury, criminal assault or other event to seek immediate medical attention. This also helps ensure future defendants will have less opportunity to assert your brain injury had another cause. The Florida Department of Health reports the median admission charge for non-fatal TBI injury hospitalizations is more than $46,000. That figure can quickly snowball when brain injuries prove long-term. Helping victims of traumatic brain injury recover damages from negligent parties is a top priority for the personal injury lawyers at The Garvin Law Firm. The National Institute of Neurological Disorders and Stroke define traumatic brain injury (TBI) as a form of acquired brain injury resulting from sudden trauma that does damage to the brain. It can happen when the head suddenly and violently strikes an object or when an object pierces the skull and enters brain tissue. A TBI can result in a wide range of short- or long-term issues that affect cognitive function, motor function, sensation and emotion. The brain injury lawyers at our Fort Myers firm are familiar with the impact on a victim's life. Mild Brain Injury. The most prevalent form of TBI and often missed at the time of initial injury, it’s also sometimes referred to as a concussion or minor head injury. Symptoms include confusion, disorientation and loss of memory or loss of consciousness for less than 20 minutes. Some may experience nausea, loss of smell, sensitivity to light and sound and mood changes. Moderate Brain Injury. This term is used when one suffers trauma to the brain, with similar symptoms as mild brain injury, but with longer loss of consciousness and lasting effects. Severe Brain Injury. This is characterized by loss of consciousness lasting longer than six hours, and may involve anything from seizures, loss of coordination, speech difficulties and dramatic mood and behavior changes to profound and permanent cognitive and motor deficits. These are generally outlined on the Glasgow Coma Scale, which ranks a person’s motor responsiveness, verbal performance and eye opening to appropriate stimuli. This scale can help assess the depth and duration of coma and impaired consciousness, and may provide insight into one’s long-term prognosis. When you or a family member suffers a serious brain injury, it can impact every part of your life, including your financial stability. If this injury is the result of someone else’s negligence, you may be able to recover compensation for economic damages (medical bills, lost wages, loss of earning potential) as well as intangible losses (i.e., loss of life enjoyment, loss of consortium, pain and suffering). Defendant owed plaintiff a duty of care. This means defendant had a legal obligation that required exercise of reasonable care to prevent foreseeable harm. For example, drivers have a duty of care to obey speed limits and remain sober behind the wheel. Doctors have a responsibility to perform their services to the accepted standard of care for their specialty. Property owners have a duty to make sure lawful guests are reasonably protected from dangerous conditions on site. Breach of duty. Defendants breach their duty with failure to exercise reasonable care, given their role and the circumstances. Causation. Plaintiffs must show defendant’s negligence was directly responsible for the injury or damage that occurred. Damages. The injury sustained resulted in economic or non-economic damages to the victim. Often the extent of those damages is up for sharp debate in brain injury lawsuits. Because these cases tend to involve high-end damages and complex medical testimony, it’s important for brain injury victims and/or loved ones to consult with an experienced South Florida injury attorney as soon as possible. Contact the Fort Myers brain injury attorneys at The Garvin Law Firm today at 239.277.0005 or online for a free case review.